Uber CEO: "Culture work is never done"
Fresh off the release of a string of headlines about its workplace, Uber CEO Dara Khosrowshahi said at Fortune's Brainstorm Tech conference Monday that culture "can can change but it cannot change in the matter of months," adding that "culture work is never done." 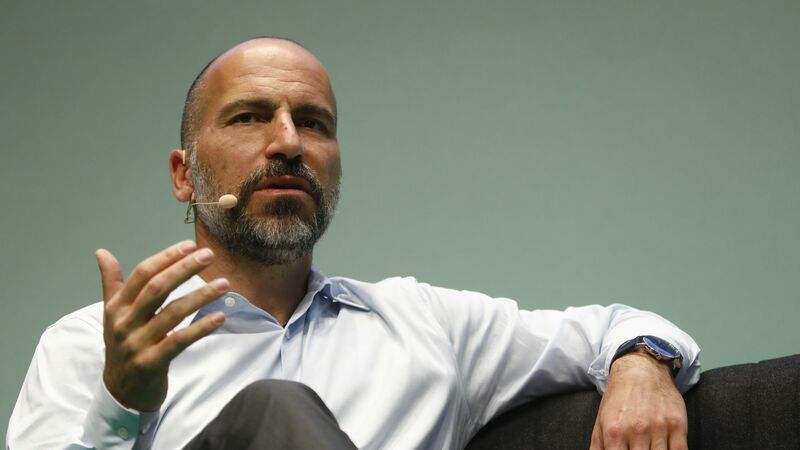 Why it matters: Much of Khosrowshahi's tenure since taking over the company nearly a year ago has been about cleaning up the company's problems, which led to his predecessor's resignation in June 2017. Uber's culture: "As a company, I can say that we are now acting in a way that is true to one of the norms which is 'we do the right thing, period,'” he said, adding that the company won't be perfect. He also said he doesn't see his job as simply fixing the company — he's here to build a great company going forward. Becoming profitable: "The most important thing for me is cash flow and cash generation,” he said. "I don’t want to be dependent on private, public or any market to fund our business. I look at cash before profits. But over periods of time, it’s absolutely important for the business to be profitable." Self-driving cars: "We’re a networks business," he said of Uber's willingness to work with other companies developing self-driving cars.